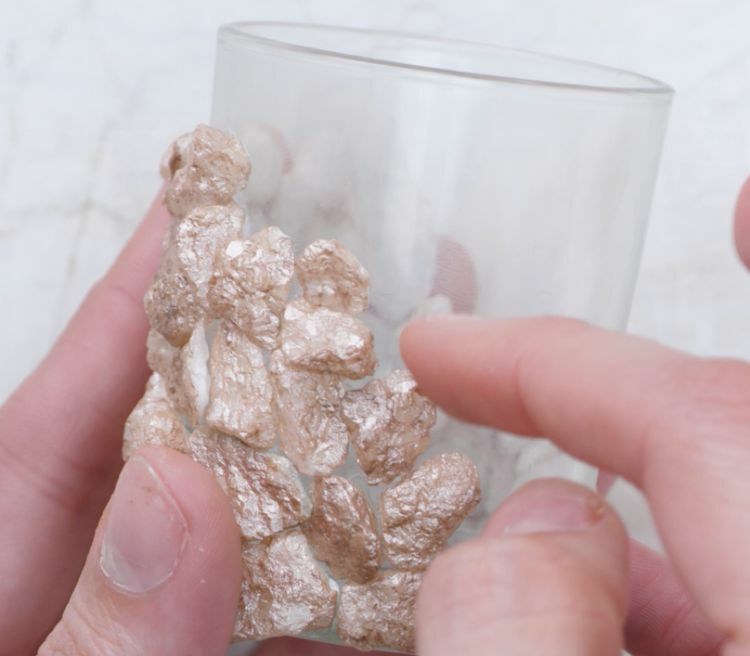 When you add the right shade of gold paint to white rocks, you get a very unusual effect. 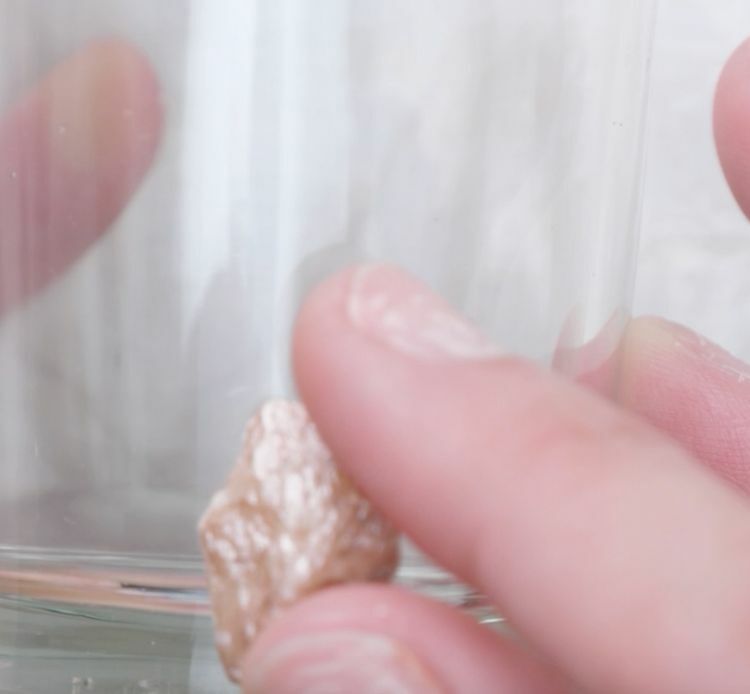 The effect is magnified by lighting the rocks from the inside using a glass votive candle. It almost looks like a Himalayan salt rock lamp, so this is a craft that is right on trend. Plus, if you have one of those lamps, then you can create a complementary lighting set by adding this votive craft to the same space. 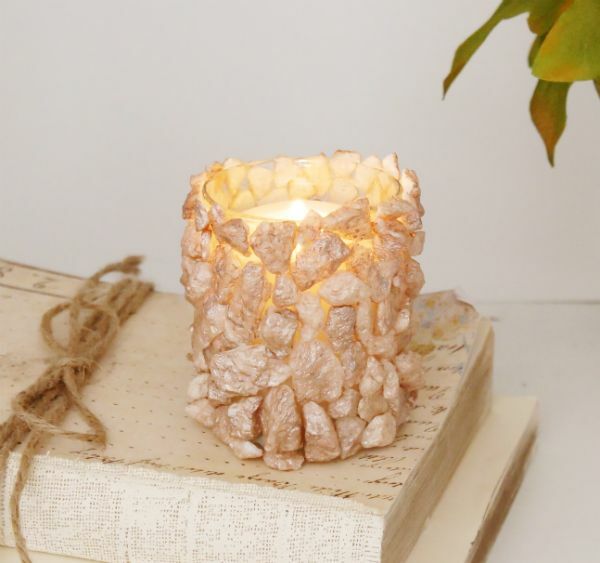 Even if you aren't drawn to those lamps, this votive candle is a delightful craft. The combination of organic rocks with painted sparkle results in lighting that appeals to several senses. This is the kind of project that makes a wonderful gift, but you will also want to make one for yourself. - Cardboard, ~ 6" x 8"
1. 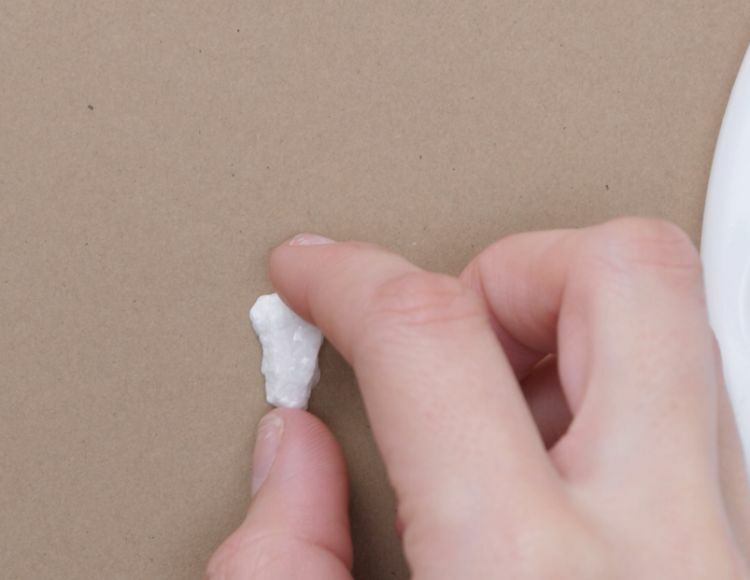 Lay the white rocks out on the cardboard, which is your work surface. 2. 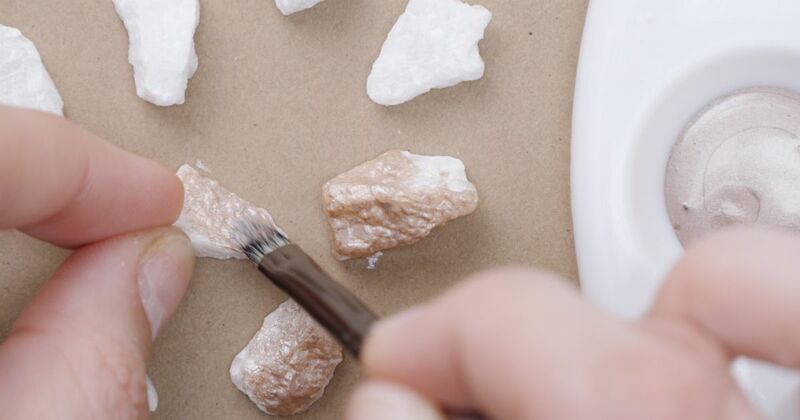 Use the paintbrush to cover the top of each rock with the paint. 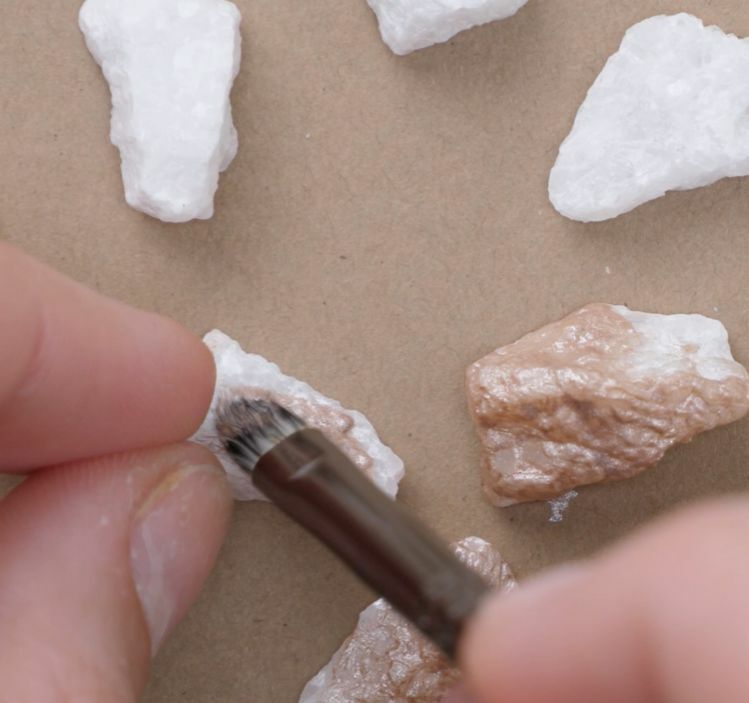 Leave the bottom of each rock unpainted. 3. Allow the rocks to dry. 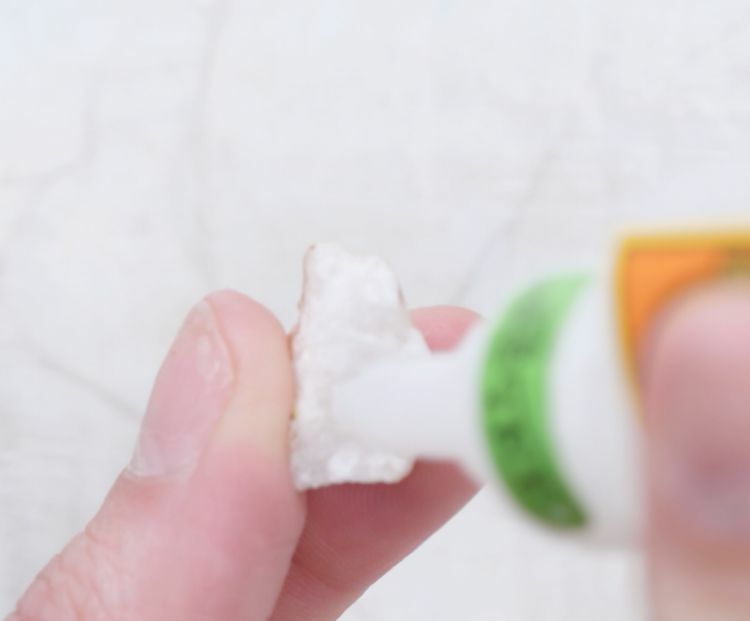 When the rocks are dry you can begin gluing them on your votive. 4. 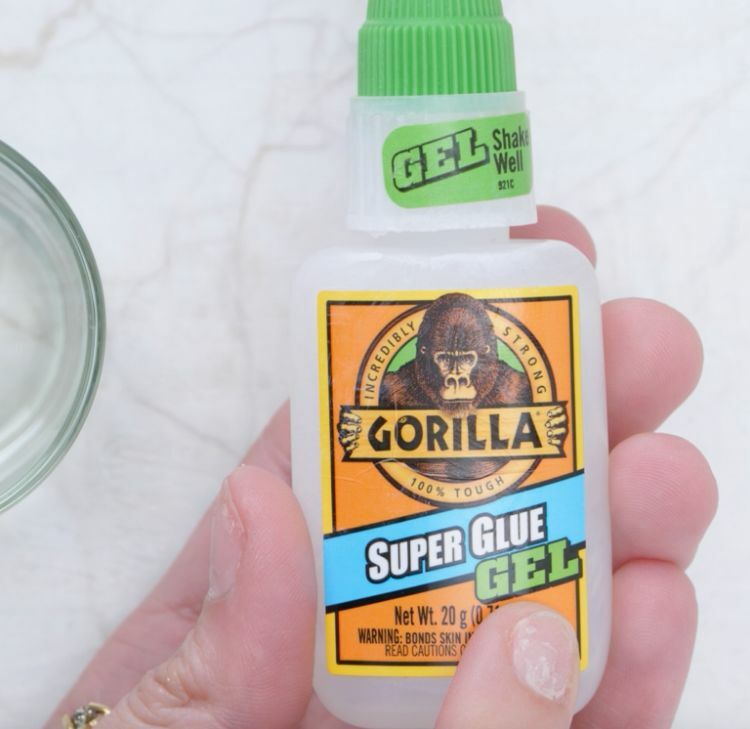 Apply a dab of the gel glue to the bottom, unpainted side of the first rock. 5. 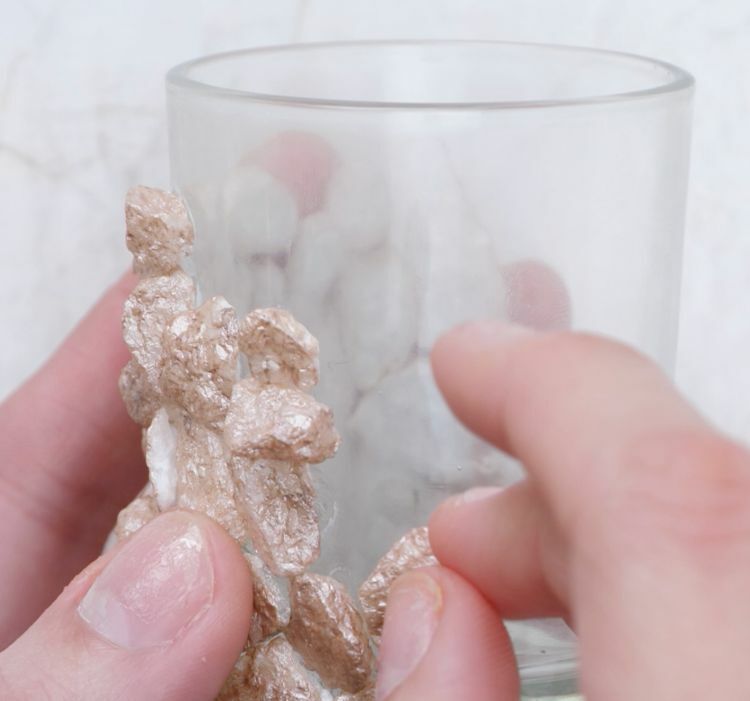 Adhere that rock to the side of the glass votive, placing it as close to the bottom edge of the votive as possible. 6. Continue to adhere the rocks to the votive, building them up around the first rock, leaving as little space as possible between the rocks. You may need to select specific rocks to best fit the space available. 8. Insert a candle into the glass and enjoy.